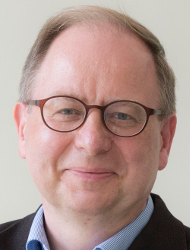 Since 2014, Claus Arnold has been professor for medieval and modern church history at Johannes Gutenberg University Mainz. He is an expert on church history of the late nineteenth and the twentieth century and especially on the conflict between modernism and antimodernism within Roman Catholicism. As a GRC fellow he will continue his research on the linkage between theological antimodernism and political authoritarianism. He will put a a special focus on the way Pope Pius X. and Catholic conservatives dealt with Alfred Loisy and his modernist interpretation of the Bible in the first decades of the twentieth century.